As I write this, Salt Remedy is officially 2-weeks-old. Sounds like a newborn, right? Well, we are. The past two weeks have been exhilarating and fast! I want to take this opportunity to say, “thank you!” I know that thanking people by name in a public forum will always get one into trouble. Why? Because, someone who needs to be named, gets left out. So, I won’t put a name to any individuals today. First, I want to thank my husband, my children and my extended family for all of the support and help you’ve given me, as we prepared for opening day. There have been many discussions about everything from processes, to design, to marketing strategies. Each of you has stood behind me through all of the emotional moments. My husband in particular, is my rock. Thank you, for staying up late with me the night before we opened, making sure everything was in its’ proper place; and thank you for a steak dinner brought to me that night. Next, I would like to thank the many friends (you know who you are) who have listened to my ideas, called and given me reassurance, let me cry on your shoulder, genuinely asked how it’s going, encouraged me every step of the way, and most importantly – prayed with me. Thank you to those who attended to our time of blessing. Thank you to the dear friend who graciously planned and brought appetizers and drinks that night. The list could go on for pages. Your friendships are more precious than gold and diamonds. Your belief in Salt Remedy means more than words can express. To my two employees, who also belong in the friend category above, you girls are incredible. You have stepped out in faith with me, knowing that what we offer our community is real, and is needed for an overall healthier lifestyle. You are both so giving, loving and flexible. Thank you! We are family for life. To the business community, you guys understand. Each of you have started businesses and have graciously answered my questions and given great advice. You have pointed me in the direction that leads to success, like you have experienced, yourselves. In the past few months, I have deepened existing friendships and have received new ones. What a gift. Thank you! Finally, I want to thank the community we are here to serve and help. You have received us with open arms. You have come out to see what this new business is. You’ve embraced us, and you are starting to tell your friends about the amazing benefits you are receiving through your dry salt therapy experience. 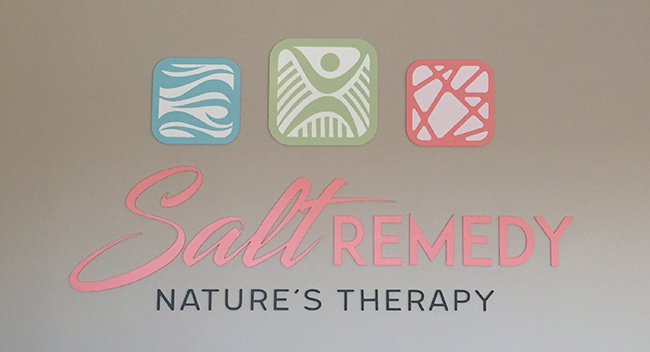 We are so glad to welcome you into our Salt Remedy family.